The city’s bus and bus shelter ads are paying off. ABQ RIDE has a contract with Lamar, a national advertising company, to sell advertising on city buses and most bus shelters. 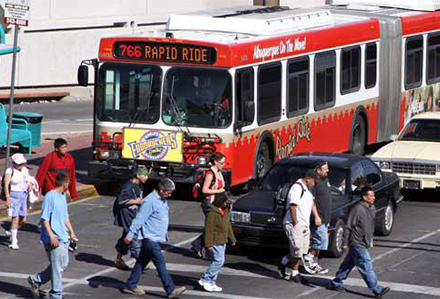 When Lamar reaches a minimum guarantee, it shares the revenues with the ABQ Ride, reducing the amount the bus system needs from the city’s general fund. This year, the company presented the city with $80,098. Last year, the city received $204,183 from the company. Lamar has paid Albuquerque $80,098 as its share of revenue generated by ads on the cit's buses and bus shelters. Last year, Lamar bought and installed 49 bus shelters and used the ad revenue to pay for the program. The original article appeared on Albuquerque Business First's website. Lamar Advertising Company joins the effort to support a local war veteran who is about to return home for the first time since he was injured overseas. 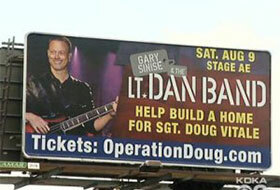 Lamar donated 10 billboards throughout the Pittsburgh area to promote "Operation Doug". 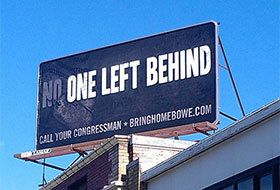 Lamar Advertising Company has donated billboard space throughout Spokane, Washington to support the "Bring Home Bowe" organization.